I had served four years as this church’s associate pastor when the senior pastor left to lead a church plant. The congregation eventually asked me to take his place, and I accepted the call. But there was a problem: Even after calling an additional staff member, I wasn’t letting go of the roles I had as associate pastor. In addition to leading the staff and preparing multiple messages each week, I was still overseeing monthly training sessions for Sunday school teachers, attending every youth and children’s ministry committee meeting, playing guitar in the youth worship band and helping with the logistics for three upcoming mission trips. My wife was spending far too many evenings at home alone with our first daughter. This article originally appeared on Southern Equip and TheGospelCoalition.org. The Southern Baptist Theological Seminary. 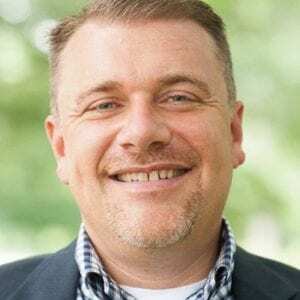 Timothy Paul Jones is associate vice president and C. Edwin Gheens Professor of Christian Family Ministry at The Southern Baptist Theological Seminary. He is the author or editor of more than a dozen books and serves as one of the teaching pastors at the Midtown congregation of Sojourn Community Church in Louisville, Kentucky. For more information visit TimothyPaulJones.com.